Method Man & Redman (also referred to as Meth & Red, Red & Mef, John Blaze and Funk Doc or Funk Doctor Spock and Johnny Blaze) are an American hip hop duo, composed of East Coast rappers Method Man (of Wu-Tang Clan) and Redman (of Def Squad). They are signed to Def Jam Recordings both as solo artists and as a duo. While they had been collaborating since 1994, it was not until 1999 that they released a full-length collaborative effort, Blackout!. The follow-up album, Blackout! 2, was released in 2009. 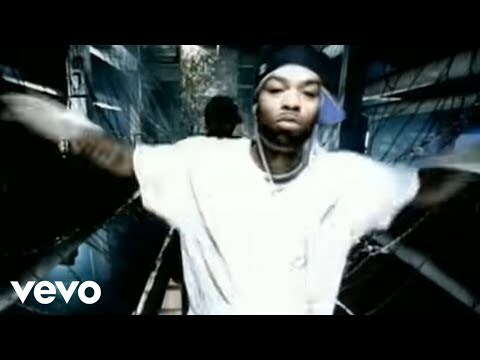 Method Man often gives a shout out to Redman on tracks that do not feature Redman; this usually comes in the form of “What up, Doc!” referring to Redman’s alias “Funk Doctor Spock”. In 2001, they starred alongside each other in the stoner film How High. In 2004, the duo also starred in a short-lived Fox sitcom, titled Method & Red, however they later disowned the series due to lack of creative control. The duo have known each other for a long before signing with Def Jam. While at Def Jam, they reunited in 1994 on tour and met again in 1995 in the recording studio of West Coast hip hop act Tupac “2Pac” Shakur. They recorded “Got My Mind Made Up” for Shakur’s multi-platinum album All Eyez on Me (1996). After this they had friendly battles freestyling with each other on Yo! MTV Raps, which ultimately led to their collaborative debut single “How High”. In 1999, the two rappers appeared together on “Rap Phenomenon” from The Notorious B.I.G. posthumous album Born Again. On May 7, 2009, in promotion for their second studio album, Method Man & Redman released a mixtape titled Lights Out, which was hosted by DJ Green Lantern. In 2013, Method Man and Redman previewed a new track called “Lookin’ Fly Too” featuring Ehikmostz.